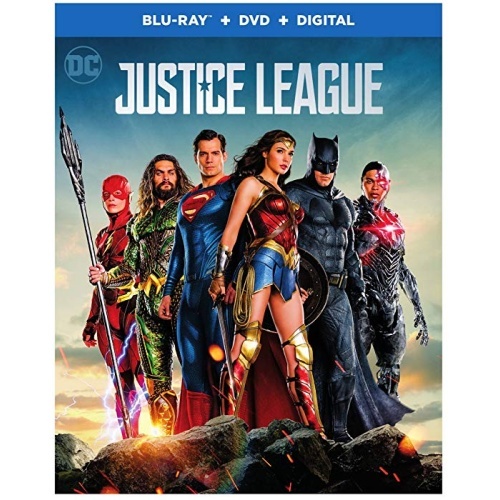 Justice League is the new key Blu-ray title this month for Warner Home Video, released on March 13th, 2018. Chris Terrio and Joss Whedon wrote the screenplay for this superhero film. This fifth installment in the DC Extended Universe features Batman, Wonder Woman, Flash, Aquaman, and Cyborg saving the earth from Steppenwolf. With an estimated production budget of $300 million, Justice League is one of the most expensive films ever made. August 8th, 2017 marked the arrival of the Warner Home Video Blu-ray release for King Arthur: Legend of the Sword. 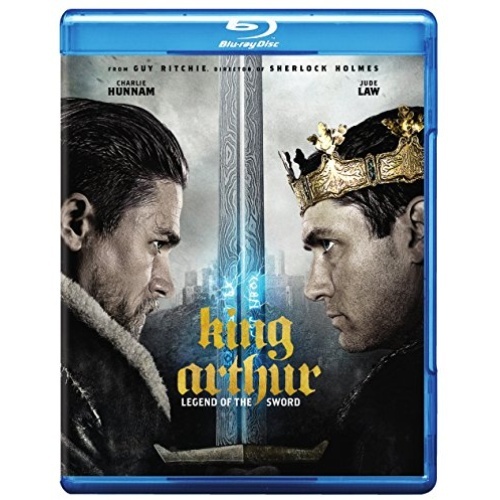 Guy Ritchie, Joby Harold and Lionel Wigram wrote the screenplay for this epic fantasy inspired by Arthurian legends. The film stars Charlie Hunnam in the lead role, along with Jude Law, Djimon Hounsou, Aidan Gillen and Eric Bana. The film grossed $146 million worldwide against its $175 million production budget after critics panned the movie. 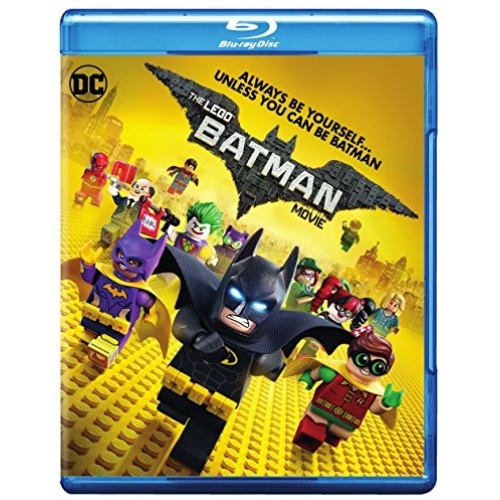 June 13th, 2017 marked the arrival of the Warner Home Video Blu-ray release for The Lego Batman Movie. Seth Grahame-Smith, Chris McKenna, Erik Sommers, Jared Stern and John Whittington again teamed up for this computer-animated superhero comedy. The film is of course a spin-off installment of The Lego Movie. It is the third feature film to be produced by Warner Animation Group, and the second to be based on Lego properties. This week I am taking a closer look at the Paramount Home Entertainment family movie Monster Trucks, released on Blu-ray Disc April 11th, 2017. This action-comedy film was written by Jonathan Aibel, Glenn Berger, Derek Connolly and Matthew Robinson. The story follows a high-schooler who finds an escaped monster living in his truck. The film received mixed reviews, and grossed just $84 million worldwide against its $125 million budget. This week I took a closer look at the Warner Home Video 4K Ultra HD release for Fantastic Beasts and Where to Find Them on March 28th, 2017. This family fantasy is a spin-off of the Harry Potter film series, written by J. K. Rowling in her screenwriting debut. 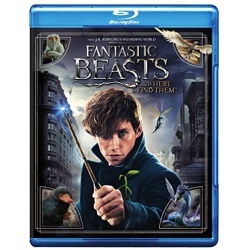 The story follows Newt Scamander as he visits 1920s New York with his case full of magical creatures. The film received positive reviews and was the eighth highest-grossing film of 2016. 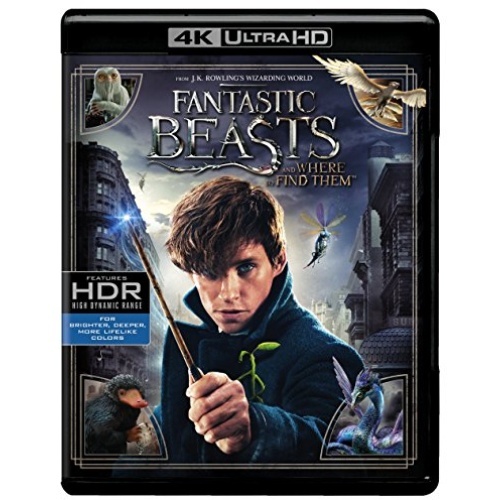 March 28th, 2017 will mark the arrival of the new Warner Home Video Blu-ray, 3D and 4K Ultra HD release for Fantastic Beasts and Where to Find Them. The film is a spin-off of the Harry Potter series, and was written by J. K. Rowling in her screenwriting debut. The movie features Eddie Redmayne as Newt Scamander. Fantastic Beasts has grossed $810 million worldwide, making it the eighth highest-grossing film of 2016. Storks is a new computer animated Blu-ray title released by Warner Home Video on December 20th, 2016. This buddy comedy film was written by Nicholas Stoller. The movie follows the premise that the storks that used to deliver babies have moved on to the more lucrative package delivery service. Things get more complicated though when the baby factory gets accidentally restarted. 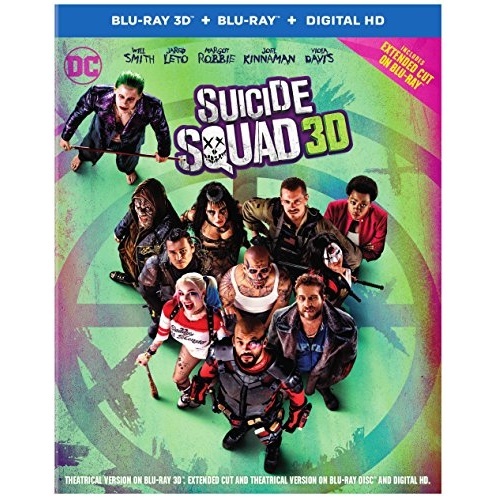 The latest entry in the DC Comic Universe is out with the Warner Home Video Blu-ray 3D release for Suicide Squad 3D on December 13th, 2016. 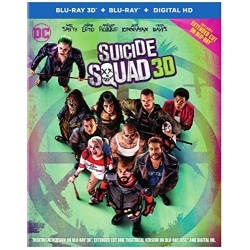 David Ayer wrote the screenplay for this action super hero film, based on the DC Comics antihero team of the same name. It is the third film in the DC Extended Universe following Man of Steel and Batman v Superman: Dawn of Justice. The story follows a team of misfit criminals coerced into being superheroes. 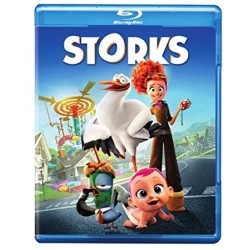 Watch for the upcoming Warner Home Video Blu-ray, 3D and 4K Ultra HD releases for Storks on December 20th, 2016. Nicholas Stoller wrote the screenplay for this computer-animated adventure buddy comedy film. The movie follows the lives of delivery storks who have moved on from delivering babies and now deliver packages instead. That is until the baby factory creates a new unauthorized baby girl. 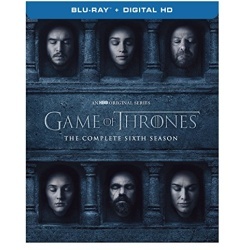 The Game of Thrones: Complete Sixth Season Blu-ray set has been unleashed by HBO Home Video this week on November 15th, 2016. The season premiered on April 24, 2016 and mostly extends the story from George R. R. Martin’s A Song of Ice and Fire series. The fan favourite show is filmed primarily in Northern Ireland, Spain, and Croatia. Game of Thrones won 12 Primetime Emmy Awards, including Outstanding Drama.